As I was reading in my Bible the story of the Samaritan woman (John 4:1-30), I was drawn to verse six: “Jacob’s well was there, and Jesus, tired from the long walk, sat wearily beside the well about noontime.” (NLT) Jesus, the Son of God, was tired and weary from the long walk from Judea to the well in Samaria. I thought of how we who serve in abortion recovery grow tired and weary from the long walk with those who have been broken by abortion to their healing place at the well of Living Water. Did the Divine Man’s human flesh crave a break from the pressing Pharisees, or the work of teaching, discipling, and healing? Don’t I sometimes crave a break from the pro-abortion rhetoric or listening to the pain of someone who experienced abortion? I continue to read that when this woman from a different cultural view came to the place where Jesus sat wearily, he did not close his eyes, hoping she would go away. Instead, he engaged her in conversation, acknowledging her humanity. As he spoke with her, he recognized her deeper thirst or need for Living Water and stepped into her brokenness. He validated her deeper thirst without denying the truth of her reality. I don’t know exactly what led this woman from Samaria to have five husbands or a current live in boyfriend. Perhaps she was fearful of the judgment around her, perhaps she was pressured by others or the culture, perhaps she was looking for love. I don’t know, but I think Jesus knew. Yet, he did not judge or condemn her for those life choices, but instead looked deeper into her heart and saw her thirst and need for something greater. Something that perhaps propelled those choices. As he listened deeply to her heart, he offered her hope. The hope of a savior who entered into her world of brokenness to reveal a new kingdom full of living, healing water for her to drink deeply and be fully satisfied forever. Can I model Jesus in my weariness? Can I acknowledge a broken person’s story without judgement, recognize their deeper needs and offer the hope of living water? The hope of transformation found in a Messiah who has entered her world to reveal a new kingdom of healing? In the wake of New York’s new abortion law and other legislative threats, I believe the number of individuals in need of hope and help after an abortion experience will be increasing. Even though the enemy, the culture and the law tell people that abortion is good, the human heart which is created by God may feel otherwise after an abortion experience. The Lord reminds me that even He needed to withdraw and pray to be ready to meet more needs (Luke 5:16). We, too, need to rest and pray to be ready to meet more of those who are wounded from abortion and offer them Hope. Wendy Giancola will be presenting a workshop at the 2019 Heartbeat International Annual Conference titled "Path to Life After Abortion Recovery." She has also written a book called Transforming Your Story: A Path to Healing after Abortion. "Then I said to them, "You see the trouble we are in: Jerusalem lies in ruins, and its gates have been burned with fire. Come, let us rebuild the wall of Jerusalem, and we will no longer be in disgrace." Nehemiah is an amazing book that depicts the pathway to personal restoration. The story opens with Israel having rebuilt their Temple in Jerusalem, yet living within the ruins of the rest of the city for over 100 years. The broken down walls and burned gates around the temple represented a structure without any external defense against oppression. We may identify with a restored Temple (rebirth), but also acknowledge our vulnerabilities, some of those broken places in our soul that have been around for a long time. The Lord wants to "secure our borders" so that we can carry His presence and walk in the Spirit unhindered! The Lord is the Glory and Lifter of our heads. He does not want us to live in a place of disgrace, rather He desires to bring us into a place of restoration. Nehemiah was chosen by God to do just that for Israel. Interestingly, Nehemiah's name means, "Comforted by Yahweh". The Lord knows how painful the restoration process can be, so He provides comfort through His Spirit to assist us in our journey to wholeness. When Nehemiah first heard of the condition of Jerusalem, we are told that he sat down, wept, fasted and prayed for days. His grief is a picture of the Spirit's concern and tender mercies over the broken places in our lives. Nehemiah declares success to the rebuilding process and puts a stake in the ground for future dealings with his opponents. He uses legal terminology to inform the enemy that he had no share, claim, or historic right or remembrance in Jerusalem. Satan, the accuser is legalistic, so Nehemiah let the enemy know that he knew his rights to claim full restoration! Be encouraged if circumstances have brought to light a breech in your wall. Redemption includes not only rebirth, but the restoration of our souls (our full identity as God intended). Whenever we take a step in the direction of our promised land, opposition will arise and attempt to turn our attention to the hopelessness of the situation. That is when we must see what God sees, and say what God says about us. The God of all hope intends to see us fully restored! The book Changed, by Michaelene Fredenburg, strikes your heart in a way that’s similar to Jesus asking the woman at the well for water. It opens things up. It provides a pathway for conversing about abortion trauma with those not ready to discuss it from the Christian worldview. Like a head-on car crash, abortion changes you. Some are ready to discuss this life-changer from a biblical perspective. Many need to start with their own hurt. Changed helps you discuss this truth in therapeutic rather than theological terms. Alcoholics Anonymous developed a similar approach. Many ministries teach abstinence from the perspectives of Changed and AA, depending on the situation and opportunities available to them. Scott Klusendorff, a pro-life apologist, and others have taught us how to make the case for life with those for whom the Scriptures are not the starting point. Changed does the very same thing. 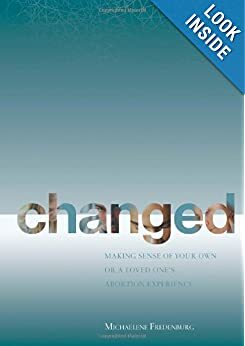 Michaelene’s Changed is unique among abortion recovery books. Other books go straight to the living water of Scripture. Changed allows more room for you to start with H2O and the common ground of thirst for healing to open a new pathway. In that sense, Changed could be seen as incomplete where other books on abortion recovery are self limiting. Changed is incomplete in that it does not directly reference the Bible or Christ. Most other abortion-recovery books are self limiting to Christian-only audiences because they explicitly introduce the spiritual, Christ-centered nature of healing. But for the secularist, nominal Christian, and those of other faiths, Changed will be a good place, even a safe place, to begin. Like the free-flowing, inexhaustible, living water that Christ offered to the woman at the well, those who don’t know this common grace of God may be helped through the teachings of Changed. The grace-filled cure offered in Changed could set them on a journey towards Christ the Healer. Changed is part and parcel of the integrated outreach of “Abortion Changes You,” a program of Life Perspectives. 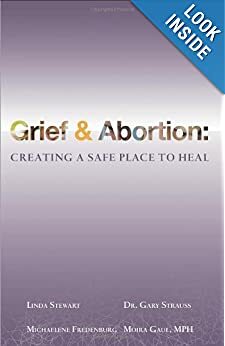 They combine an interactive website (AbortionChangesYou.com), the book Changed and a new leader’s guide for Changed called Grief & Abortion: Creating a Safe Place to Heal. For more information visit AbortionChangesYouResources.com. As a Heartbeat affiliate, you regularly see clients’ pain from past abortions. You offer support or refer women to a healing group, but so many things -- including shame and fear -- may prevent them from attending. At 18 I had an abortion. I believed it would erase my pregnancy and allow me to move on with my life. Instead, I experienced regret and sadness. I was confused by these emotions. At first I tried to ignore them, but the emotions only grew stronger and more intrusive. I thought about talking to someone, but the desire to reach out was checked by my fear of how people might react. What if they denied my feelings? What if they condemned me? What if they treated me differently afterward? I seriously wondered if anyone could understand what I was going through. I also wondered if other women were experiencing similar, troubling emotions after their abortions. Or was I the only one? Even after learning of an after-abortion healing group and realizing I wasn’t alone, I still resisted reaching out for help. My secret would be revealed if I attended a program affiliated with my church. I also wasn’t sure I wanted to heal -- suffering and punishment seemed like more appropriate consequences. As my unresolved emotions gradually developed into unhealthy behaviors, my desperation to find help finally overcame my fear. 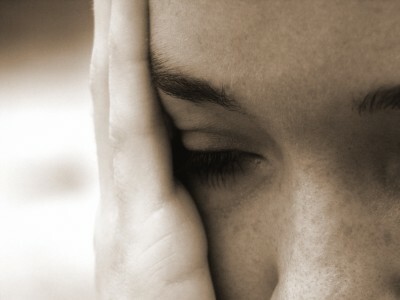 When I shared my pain with a friend, her compassion gave me courage to reach out to the after-abortion healing program. Finally, I could grieve the loss of my child and find restoration. I was fortunate to have a friend help guide me out of my years of silent suffering. However, many women aren’t as fortunate. As a result, after-abortion services are woefully underutilized. Although many pregnancy center clients have experienced a past abortion, only a tiny percentage of them will take advantage of the excellent resources offered through the center or by an affiliated organization. Sue’s search for an appropriate resource led her to the book Changed: Making Sense of Your Own or a Loved one’s Abortion Experience. “Changed is an important piece in the healing journey…it’s an excellent first step for someone who hasn’t talked about it yet. This gives the girl a starting point, and the client can stay with her client advocate.” By working through Changed one-on-one, more women will receive assistance, and it will be easier for client advocates to help those women who’d benefit from additional support to transition into an after-abortion support group or attend a healing retreat. Lise Klassen, founding director of North Peace Pregnancy Care Centre in Canada, found Changed to be a “great start to begin your healing process. I really like how there is a combination of stories (communicates that you are not alone) and a section to write in the book as you heal (tasks of grieving).” Lise offers the book as a take-home resource. However, the client also has the option of talking through the book with center volunteers. I am delighted that Changed and the companion interactive website, AbortionChangesYou.com, are effectively being used as tools in after-abortion healing programs. While they in no way replace the resources and programs that are currently available, they do offer a unique place to begin the healing process for women who would otherwise continue to suffer in silence. To commemorate Heartbeat International’s 40 years of dedicated service to women and families, we would like to offer all Heartbeat affiliates a 50% discount ($12.50 per book) from now until May 30th on the book Changed. To take advantage of this special discount, enter code Heartbeat2011 upon checkout at www.ChangedBook.com. I invite you to browse through Changed and to visit AbortionChangesYou.com. And if your center isn’t already listed on our online directory, please submit your contact information at Find Help Resources Sign Up. I am very honored and excited to be working with Heartbeat International at this year’s 40th Anniversary Conference. I hope you will attend the workshop entitled “Reaching the Unreachable” so we can discuss how to reach hurting men and women through Abortion Changes You® take-home and in-center resources. Michaelene Fredenburg is the creator of the Abortion Changes You® Outreach and author of Changed: Making Sense of Your Own or a Loved One’s Abortion Experience. I recently had the opportunity to share dinner with Michaelene Fredenburg, creator of AbortionChangesYou.com. While our conversation covered a wide range of topics, it was filled with insights about grief, loss, and the healing journey. In Michealene's experience, she has found the term reproductive loss and grief to find more resonance with a widespread audience than would other terms we commonly use with clients. By using reproductive loss and grief to describe the suffering of abortion, people intuitively understand that the loss resembles the pain associated with miscarriage, stillbirth, and infertility. "When I am talking to therapists and other health professionals from a variety of backgrounds and belief systems,” Michaelene said. “I have seen the light blub go off as they make the connection between the grief of miscarriage—which is commonly acknowledged—and the loss of abortion." By conveying the real experiences of real people, Changed teaches providers to sensitively and compassionately communicate with others about abortion as well as offering interactive suggestions for those affected by abortion to begin the healing process. Grief & Abortion introduces abortion in the context of human grief and loss. It is a guide for counselors and leaders who walk with clients on their healing journey and is a natural companion to Changed. 2. Every person's journey of healing is different. The experience of a woman who is grieving in the days following an abortion varies significantly from the grief of an abortion carried in secret for 15 years. The models of healing programs vary accordingly, often having been developed to address the needs that were becoming evident. Because of the pro-life movement’s awareness of this dynamic over the years, those affected by abortion can choose between a variety of wonderful programs with different formats, models of healing and philosophical foundations. Our role in the maternity home setting is to help a woman find the most meaningful program or method in her particular stage of grief. 3. Healing can't be coerced or forced. Representing a time of safety and community, the context of the maternity home may be an ideal environment for entering into deep healing work. But, a woman must have the freedom to face her grief according to her own timeline. To prevent adding additional trauma, our role should always be information and invitation. Resources such as AbortionChangesYou.com use a self-directed approach with online tools and a moderated sharing format to give women from various backgrounds an opportunity to begin exploring their grief. Resources like these can often bridge the gap between unacknowledged grief and the road to healing, which, we know, often takes place within the setting of a maternity home. “At Abortion Changes You, we understand ourselves as a gateway, or a starting place," Michaelene said. Since the process of healing from reproductive loss and grief is at the same time essential and unique for each woman, here are some helpful tips to use in your maternity home ministry, starting today. Hang a sign near the house computer, inviting the mothers to check out AbortionChangesYou.com. Check in with your counselors about how they assess grief and loss. Do they include abortion? Do they include other reproductive losses? Revisit the language of your program in regards to abortion recovery—a.k.a. reproductive loss and grief. Is it time to consider new language? Have a volunteer create or update the list of resources available in your area to support healing for reproductive loss and grief. For more information about Abortion Changes You, visit www.AbortionChangesYou.com or www.CreatingASafeplace.com. “Oh, give thanks to the LORD, for He is good! For His mercy endures forever. The headline read: “Last Abortion Clinic in Toledo, Ohio Closing on Wednesday.” As I read the article, posted July 29, 2013 at LifeNews.com, memories danced around the outer edges of my conscience. Even though I have been redeemed by the blood of the Lamb, every time my calendar reaches July, I think about that clinic in Toledo. In early July, 1983, I made the 45-minute drive from my home in a small northern Ohio town to that clinic. Dressed in a pale yellow pullover, khaki pants, and tennis shoes, I was alone, abortion-bound, and ashamed. I felt abandoned and fearful, yet obedient. Obedient because I could not bring myself to question the awful decision I had agreed to. My voice was buried beneath layers of paralyzing emotions, which pushed me to follow through with the abortion, hoping no one would find out. Almost mechanically, I went inside that clinic, filled out the forms, took the valium and waited. Soon, the procedure was completed, and I sat in “recovery.” I returned to my car and cried. I was overcome by the oppressing guilt of knowing I went in as two, but came out as one. I knew what I had done was wrong. I was broken. For a fee of $200, I had surrendered the life of my unborn child, as well as my soul. I left the parking lot and drove myself to work. In another July, 13 years later, my 4-year-old son was killed in a car accident as he and my husband returned home from a Promise Keepers event. While grieving the loss of my son, I realized I had never fully grieved the loss of my aborted child or dealt with the shame and guilt that had been my tireless task master. Although I had confessed my sins and accepted Christ as my Savior in 1992, I had never fully accepted that His forgiveness covered my abortion too. Christ’s words penetrated my heart as I read His word, and at that moment, I finally understood God’s complete forgiveness and His mercy. Jesus’ sacrifice on the cross had redeemed all of me from the hand of the enemy, not just the sins I thought he should forgive. I fully accepted His gift of forgiveness. Over the years, God has brought great healing and allowed me to share His amazing grace with others. Now, I work at Heartbeat International, where saving babies and women from the violence of abortion is the focal point of our work. Now, 30 years later, as of July 31, 2013, that abortion clinic in Toledo, Ohio no longer has a transfer agreement with a local hospital, and is facing closure. I give thanks to the LORD, for He is good! For His mercy has endured. By His blood, He redeemed me. God rescued my aborted daughter out of the hands of the enemy and held her in the palm of His hands. Today, both my children are in heaven, singing songs and praises to the Lord. Join me in singing songs of praise and thanksgiving to the Lord for the imminent closing of the last abortion clinic in Toledo, Ohio—along with so many like it, across the U.S. Join me in praying for that building and land to be redeemed for the glory of God. Join me in praying for every man and woman who has been wounded, crushed, and blinded by that clinic. Join me in praying these precious souls will be restored to wholeness, and redeemed. Then, join me in telling your story of redemption to someone who needs encouragement and hope. I am redeemed by the blood of the Lamb! I love to say so! Have you been redeemed? Then say so! At 17 years old, with no hope or help, Sheila M. Luck chose to abort her unborn child in the face of an unexpected pregnancy. She traces her story of abortion, from loss to healing, in My Baby’s Feet: Choice, Death, and the Aftermath. For years, Luck denied the humanity and personhood of her aborted child to justify what she believed to have been the right decision for her pregnancy. However, as time passed, she came face-to-face with the truth of her situation, which led her to expose the truth of her previous abortion to her children, husband, and family members. This book is a beautiful and true account of the author’s journey from death to life. She opens her heart to readers so that they may walk in the light of Christ, even as she has. Each chapter is ensconced in the truth, freedom, and restorative work of God, revealed through Scripture and woven together in a remarkable narrative of Christ’s redemptive work through His suffering, death, and resurrection. This is not merely a book written for women who have experienced the pain and loss of abortion, but it is for men and women alike who are interested in women’s reproductive choices. Note: Sheila M. Luck will be leading a workshop, Grapple with Guilt, Shed the Shame, at the 2013 Heartbeat International Annual Conference April 3-5 in Dallas, Texas. Those people, I explained, are the women, men, siblings, grandparents, and extended family who have chosen an abortion in the past, or been associated with someone who has. Those people are your neighbors down the street, your pastor or his wife, your nephew's teacher, or your son's coach. Those people are your daughter's best friend, your work-out buddy at the gym, your grandmother or friend from school. You're eating lunch with those people at work, studying the Bible with them at church, watching them on TV, listening to them on a CD, or seeing them run for public office. They are those whom you’d never predict would make a choice like abortion. Those people are individuals who chose abortion when it was legal, or when it was illegal. Either way, those people were deceived into thinking it was the ONLY way out of an unplanned or medically challenged pregnancy. Then realizing, it was too late! Those people ARE EVERYWHERE! And they are suffering in silence around the world! WHY? Because they are too ashamed and too frightened that they will be classified as "those people" when they ask or search for help. I thanked her for calling and for reaching out. When people, affected by abortion, have physical or spiritual complication we often don't know how to reach out to them as a pregnancy center, society, church or even as a family member. Unfortunately, those who made a "poor choice," don't often know what to do themselves when their world seems to be crashing down around them. ONE abortion, through a rippling effect, can touch as many as 40 people throughout a lifetime. Some of those affected may choose to do nothing, stuck in denial for years! Others may take a courageous step and seek outside help! What do we do when approached by the post-abortion client? How do we treat them? Do we grant them complete compassion or quietly scold them with contempt? So we lash out in passive aggressive anger? Or reach out in Christ-centered love? Do we grieve with them differently than a family who mourns a child lost to miscarriage or stillbirth? Do our volunteers know how to speak to the client who has an abortion in their past? Are our websites friendly to those clients? Or does our web presence create additional triggers and sensitivities that would further push those hurting away? 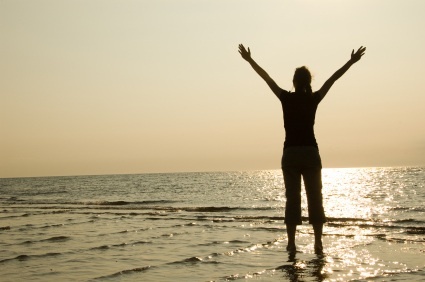 Have all of our staff, who have experienced an abortion, completed an abortion recovery program? Do we promote a "recovery first" position? Let’s work together to make it easier and more acceptable for people to get the healing they need. Let’s make it safe to talk with them at school, at church, at home and even within our families. Okay... but HOW Stacy? We can start by making sure our physical buildings and web presence is a gift to those who ache from a past choice. WE can be the one person who opens our arms, our hearts and our centers to welcoming those people who just might need our unconditional acceptance. We, at ARIN, wish to help! Our goal for 2013 is to have every pregnancy center reaching out to individuals and families impacted by a previous choice. Abortion Recovery InterNational (ARIN) has been honored to partner with Heartbeat for the past 10 years. Our affiliates, many Heartbeat affiliated themselves, minister to approximately 40,000 post-abortion clients each year through our CARE Directory and CARE Line. Many of those hurting found our CARE Directory through the Option Line web-link. Many journey through a recovery program and then go on to receive further healing through our Recovery Encore brochure and website. Whether you have an active abortion recovery program, need some help bringing yours up-to-speed or are prayerfully considering starting one; we are more than happy to help get YOUR program and center ready for ready for the individuals and families impacted by abortion. Phone consultations, center walkthrough, literature and web reviews are all something we enjoy doing to help pregnancy centers, medical clinics and other counseling agencies open their doors, and hearts, to the client who’s abortion affected. "Abortion Recovering International, Inc. has been a HUGE help in getting our abortion recovery program and website up and running. We were really having a hard time trying to decide if we should renew our membership with ARIN because we felt like we were not getting any response from people needing help. However, ARIN helped us see that there were women seeking help but our approach and website was not "welcoming" to them. ARIN offered a lot of valuable information as well as their time to help us know what direction to go. I am so glad we decided to renew our membership!" Our goal is for those people impacted by abortion is to find personal peace for their heart, mind, soul and spirit. We’d love to help YOU reach those hurting in your community! “What is this book, G,” my oldest granddaughter asked from her seat behind me in the car. My heart dropped. I’d forgotten I’d left some of my Surrendering the Secret books in a basket on the floorboard of my car. As a brand new reader, she grabbed everything with writing on it to test out her newfound skill. Oh my. Someday, I will have to talk to my precious, adorable granddaughter about my abortion. Someday, I will have to tell her about my sin, my loss, and my restoration through Jesus. Someday, but not today. She is only 8 years old. It has been 40 years since abortion on-demand became the law of the land in the United States, after the Supreme Court ruled 5-4 in favor of the plaintiff in Roe v. Wade. In those 40 years, 55 million unborn American babies have become fatalities of abortion. The Bible places particular significance on the number 40. The pages of Scripture are filled with events and people whose stories are marked off by that number, which represents a generation. Consider Moses and the Israelites, who wandered 40 years in the wilderness just outside of the Promise Land, until the old, rebellious generation was gone and a new generation arose to take its place. What a humbling concept, as we consider the shedding of innocent blood—which God hates (Proverbs 6:17)—that has been legally endorsed over the past 40 years. America has lost nothing less than a generation. For my part, I am missing a daughter, along with nieces and nephews, precious children of friends and friends I’ll never know because they were never allowed to take a breath on this earth. Little did I know the devastation and loss of innocent life that would be the result of my articles, petitions, and politics. Little did I know that my own ignorance and selfishness would lead me to opt for abortion. Little did I know that my own precious firstborn daughter would be one of those lost lives. Little did I know that someday, I would have to share that story with my own granddaughter. I have set before you life and death—choose life so that you and your children may live. It has become my life’s passion and calling to do all I can to protect and defend the next generation. To hear more of my story, please check out my new book, A Surrendered Life, releasing January 22, 2013. Maybe I will read it to my granddaughter. Someday.